2017 Inductee Ceremony at Herkimer CCC Gym. HOF founders Kate and Perry Novak with their adorable children. The entire Novak family puts so much effort into this amazing endeavor. 2017 Inductee Coach Craig Gilbert of Tamarac at the Podium with his family and Perry Novak. 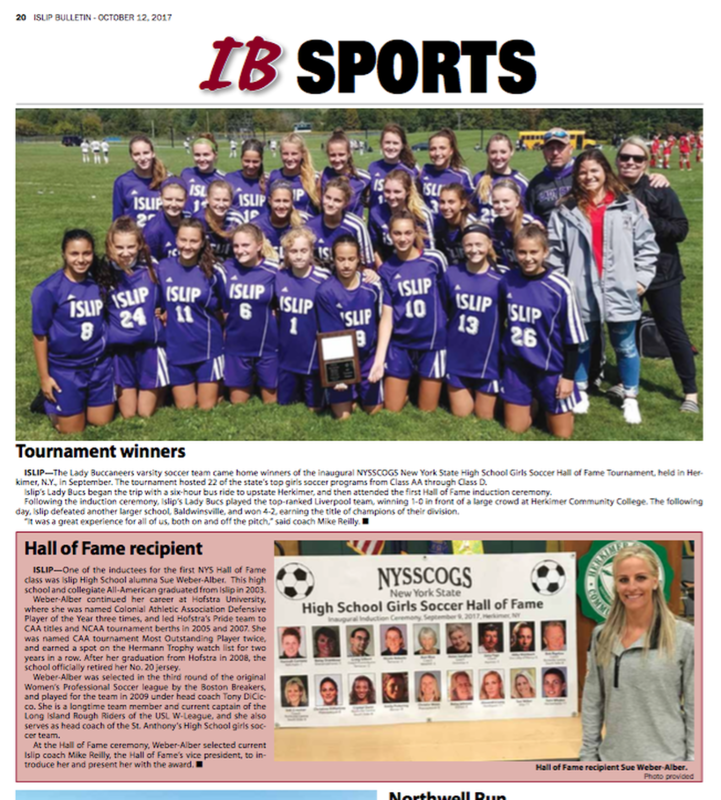 Islip Lady Bucs - Class AA-A Bracket HOF Tourney Champs and Sue Weber-Alber (Islip HS) Inductee. Article courtesy of the Islip Bulletin. HOF V.President Mike Reilly (Islip HS) with 2017 Inductee Sue Weber-Alber and Rick Davis at the 2004 All-American Game held at LA Galaxy Stadium in Carson, CA. 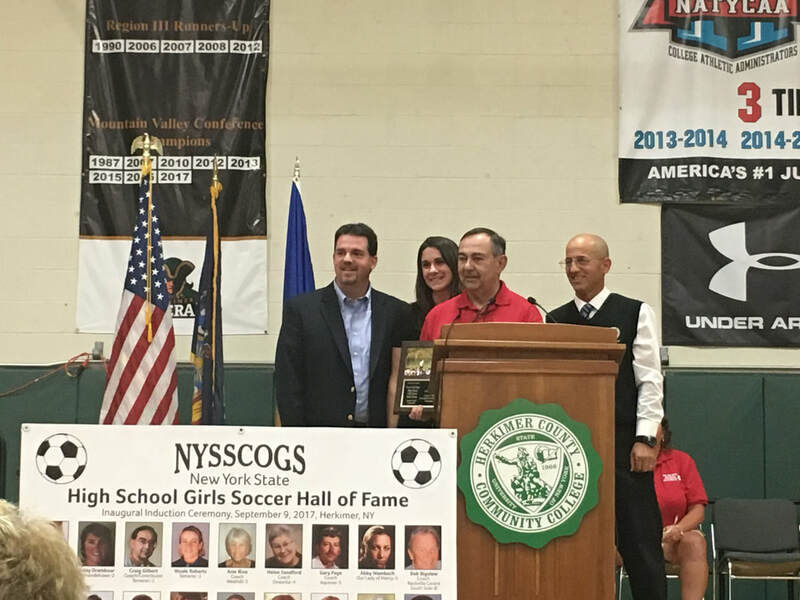 Coach Craig Gilbert with his former school and the current Tamarac Squad.